After a chilly early morning train ride that lasted more than 6 hours from Jaisalmer, my friend and I finally made it to Jodhpur. Note to self: train rides in India are always late for some reason. Jodhpur is the 2nd largest city in Rajasthan. It is also recognized as the former capital of the kingdom of Marwar. Aside from its moniker as the 'Blue City', Jodhpur is also known as the 'Sun City' for its sunny weather year-round. Jodhpur was a part of the Gurjara-Pratihara Empire and until 1100 AD was under a Bargujar King. 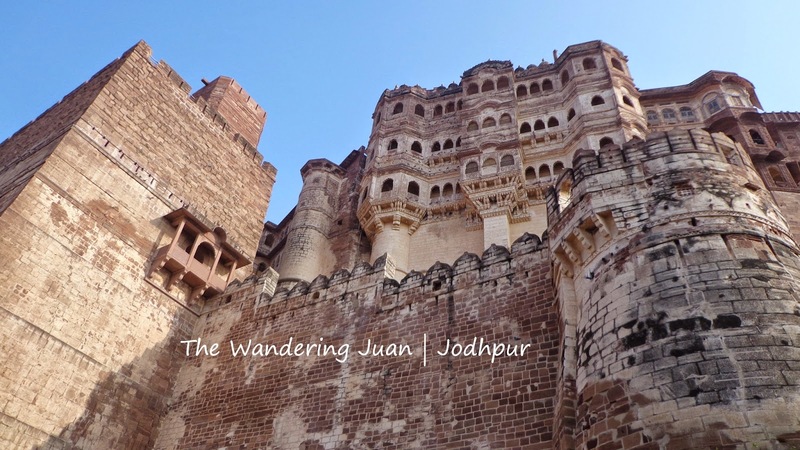 Jodhpur was founded by Rao Jodha, a Rajput Chief of the Rathore Clan, in 1459. Jodhpur has plenty to offer in terms of unique architecture, a humongous fort, and distinct culture. The Mehrangarh Fort is situated 120m over the city. I saw it as soon as I left the train station. The fort is a popular tourist destination among locals and foreigners alike. 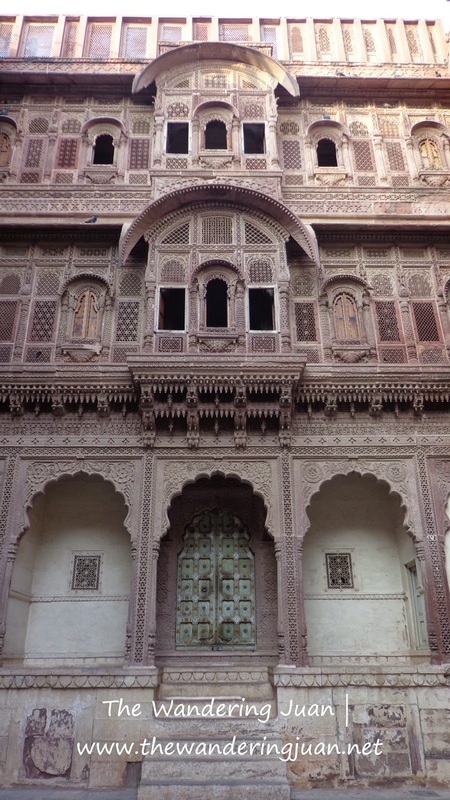 The fort has elaborate palaces, courtyards, and intricate carvings. One of the scenes in Batman: The Dark Knight Rises was shot here! More reasons to visit this enormous fort. I listened eagerly to the audio guide that was included in the ticket price. I couldn't stop looking up at the towering structures within the fort's walls. The fort was already quite an imposing and impressive structure from afar, more so when i finally made it to the entrance. it was quite a tiring walk up to the fort because of the steepness of the street leading to it. You can always ride an autorickshaw to shorten the travel time, but you'll miss out on the hustle and bustle of the city. The fort has withstood several attacks as the wounds on the wall portray. 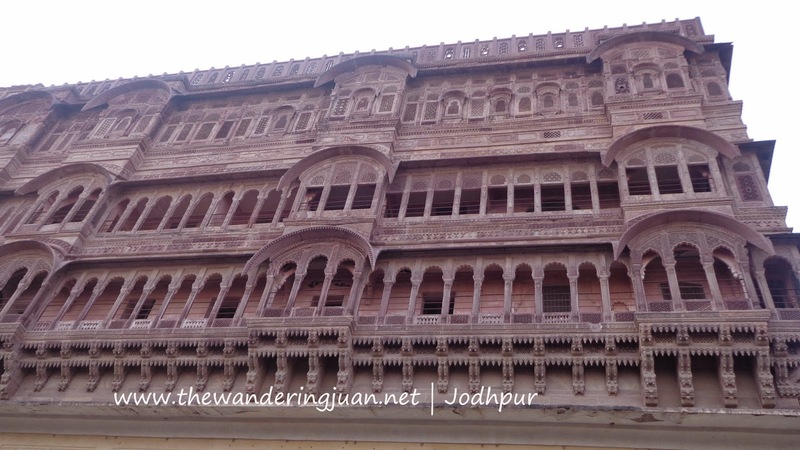 The intricate details on the structures reminded me of the other forts in Rajasthan. I couldn't remember which palace was which as they look the same, but the most noteworthy palaces are the Phool Mahal, Sheesha Mahal, Moti Mahal, Sileh Khana, and Daulat Khana. The fort was also used as one big museum that contained ancient relics such as weapons, howdahs, palanquins, musical instruments, costumes, and other important relics from the past. 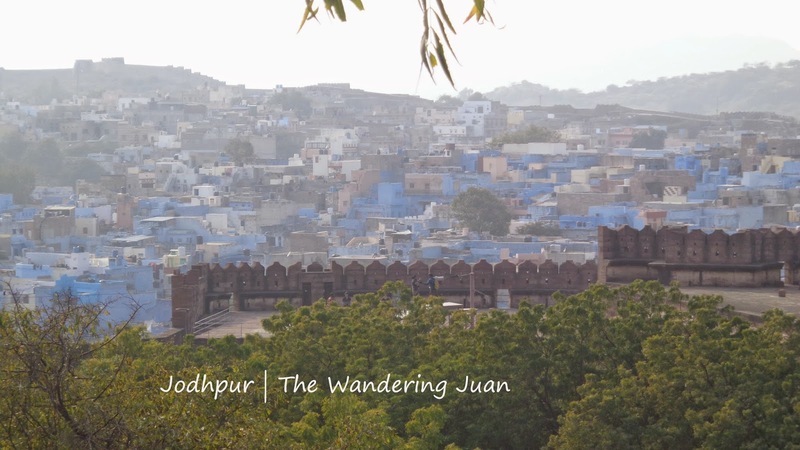 The fort is also the perfect viewing point to see the distinct blueness of Jodhpur. The fort is humongous! I kept looking side to side and up and down just to get a good look at the structures within the fort's walls. I admire how the government has kept this monument to the past in good condition. There's so much history within the walls of the fort that only a few hours can't tell. *There's an entrance fee of INR 500 that includes the audio guide. The city got its moniker from the blue colored structures below the fort. The best time to see the blueness of the city is around 4PM. 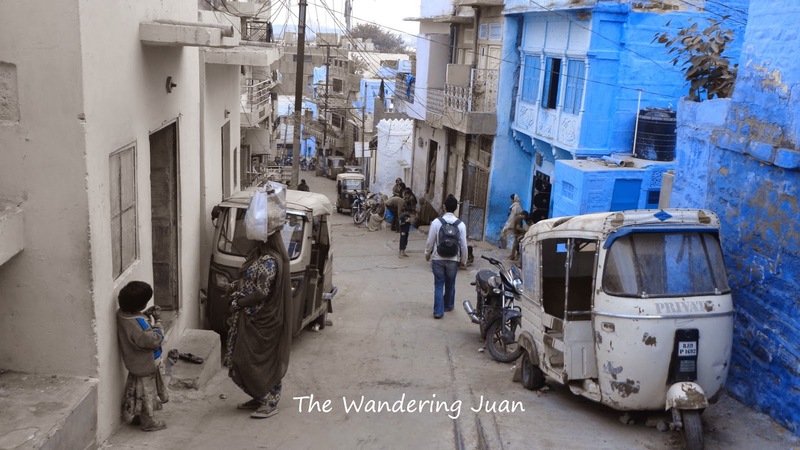 Walking around the Blue City is different from seeing it from the fort. You could see the daily hustle and bustle of the locals as you walk along the streets and in narrow alleys. Jodphur's market reminds me of the countless markets all over Asia. The stalls sold the usual fare of clothes, shoes, and typical tourist souvenir stuff. Got to try some local, and very spicy, street food while exploring. I met some cool people at Zostel Jodhpur during my stay. Our motley crew of people from India, Australia, Canada, and New Zealand looked for a restaurant to dine in. The restaurant took hours to serve the food with very poor customer service. 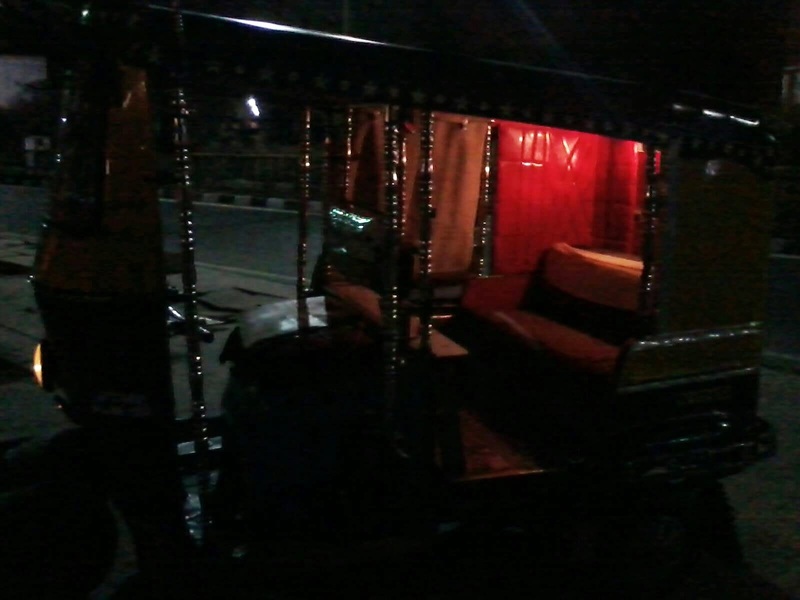 But the bet thing that happened that night was riding the tuktuk back to the hostel. Could you believe that 10 people fit in that thing? Including a Canadian guy over 6 feet tall? We squished in the back seat (with the Canadian guy) while some of the guys (literally) hung outside. It was a fun ride to cap off my last night in Jodhpur!